Fall is here, which means flu season is here too… : ( I know many of us would like to be immune from all the sicknesses that come with the cold weather, and unfortunately I don’t have a magic spell for that, but I do have a great method to boosting your immunity. Have you heard of elderberries before? They’ve been used for years in herbal medicine and more recently, they have been successfully used in research studies to battle the common cold and flu virus. 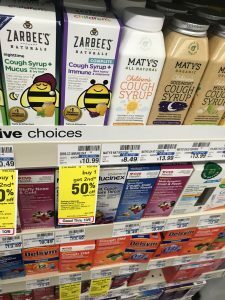 Don’t get me wrong, I am a big fan of Western Medicine, but if there is a relatively easy, inexpensive, way to boost my immune system–I’m in! Recent studies have found that the use of Elderberry syrup can reduce symptoms of colds and the flu (Yes the flu!) by an average of four days. Read about it here and here. Which means, even Western medicine is seeing the efficacy of Elderberry syrup. 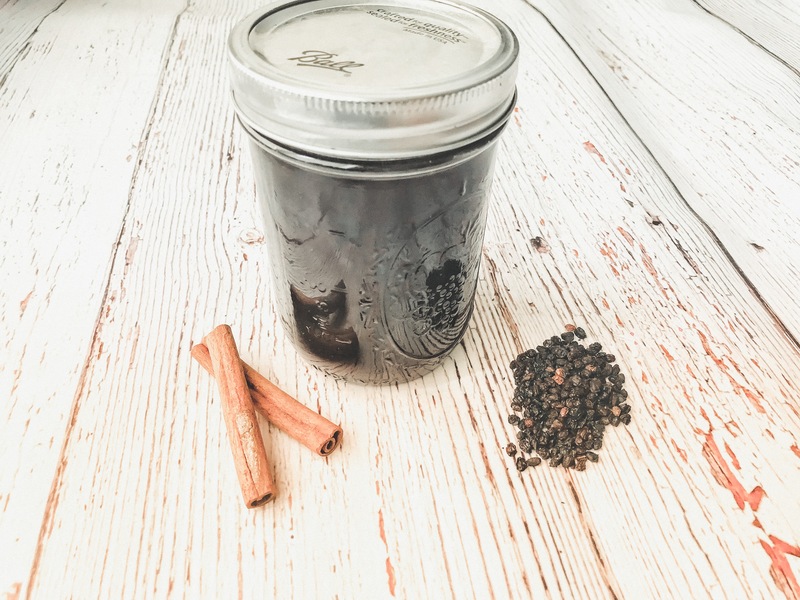 You may have seen Elderberry syrup on the shelves of your local pharmacy since it’s popularity is on the rise, but it’s actually quite easy to make at home. The store bought Elderberry syrups are not always made with real elderberries and are quite pricey for the amount you get. This is a great syrup to give to your children too! My son loves it plain or mixed in with his applesauce/yogurt. I made this version with Agave, so it is safe to be given to children under 12 months old. This batch has last my family well over a month. I recommend taking about a 1-2 tablespoons a day when you feel a cold coming on, and 1 tablespoon for children. Disclaimer: I am not a doctor, please consult with your doctor if you have any medical questions or concerns about taking Elderberry syrup. Mix in Agave syrup and lemon essential oil--You may want to reheat at this point to get the sweetener properly mixed in. You’re welcome, I think it’s going to be a rough cold season. Yayyy!! I’ve been looking for how to make this! Thank you!! I pinned as well and will be using this recipe! This syrup looks so amazing and a simple recipe thx! 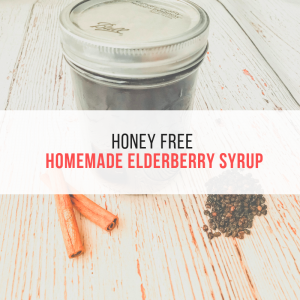 I haven’t tried elderberry syrup but it has been on my mind as we battle fall colds! May be trying it out this week!